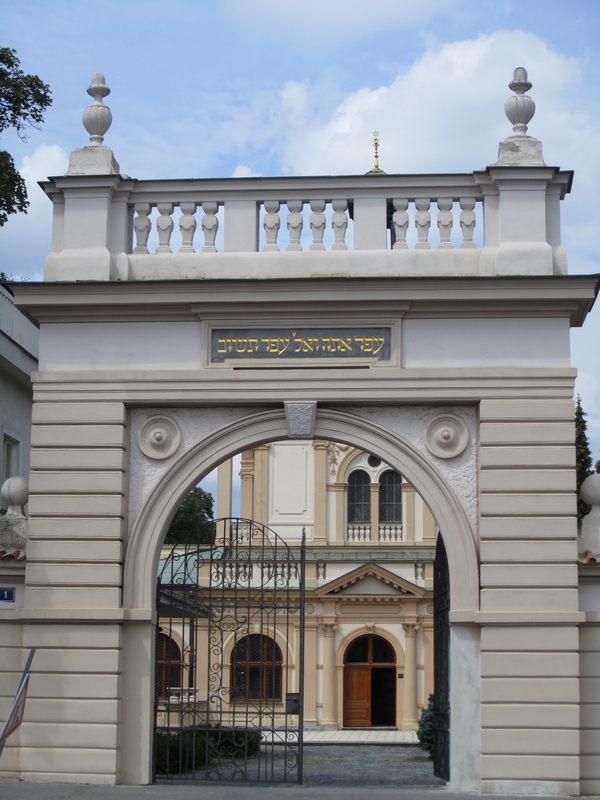 Although I’m back in the States, I’d still like to share some of my Judaic experiences in the Czech Republic. On the Tuesday and Wednesday of my last week in Prague, I took the Metro Line A to the Želivského station. 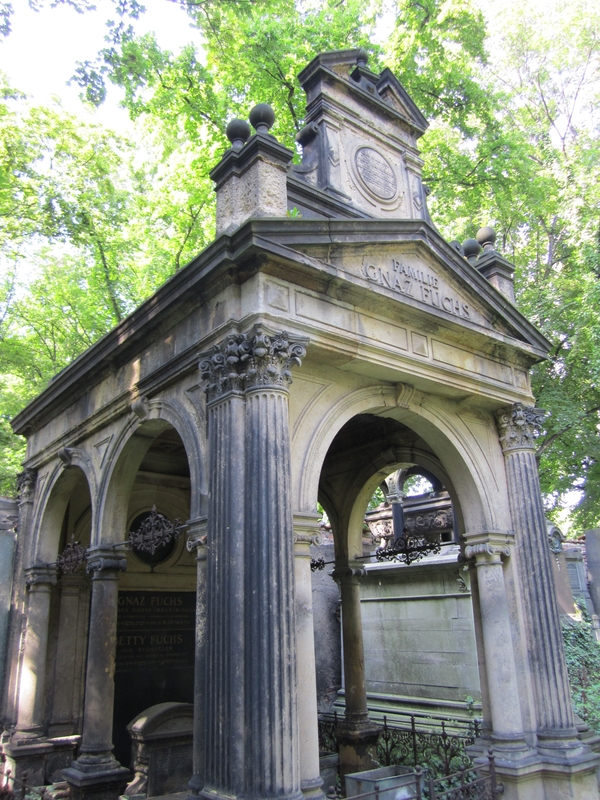 As one comes up the stairs, the gates of the Žižkov cemetery are immediately visible. And right away, there is a sign saying, “Dr. Franz Kafka,” with an arrow pointing to the right. 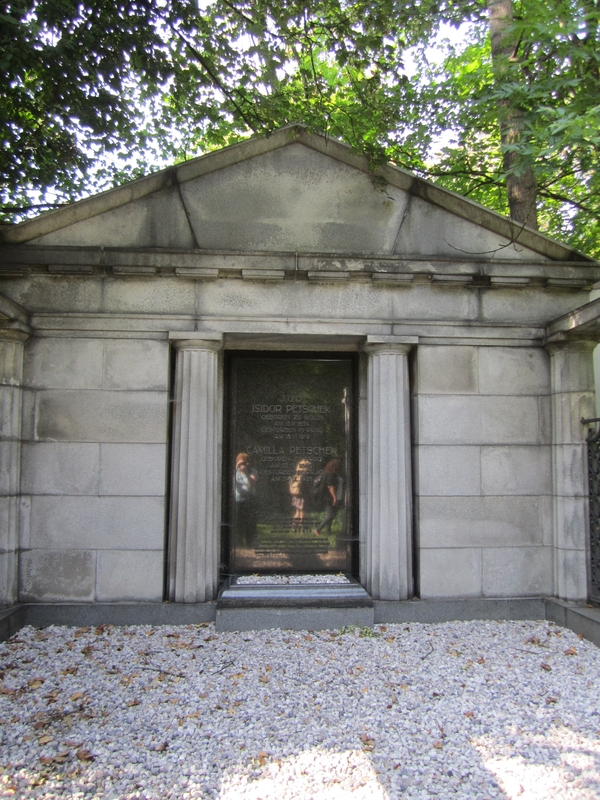 A brochure to the left indicates the graves of the more prominent people. The cemetery was established in 1891. Building on the grounds include a Ceremonial Hall for the ritual preparation of burials and an administration building. 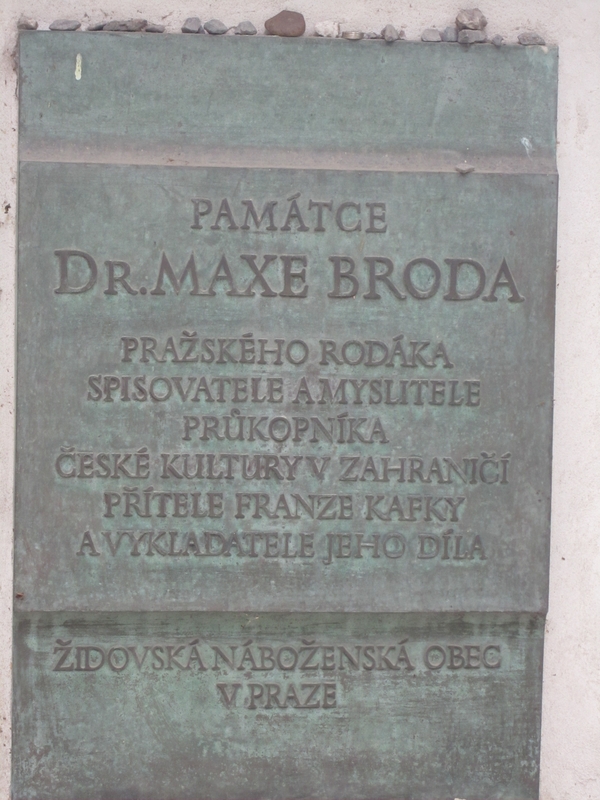 Memorials along the way pay homage to those killed during the Shoah, including Franz Kafka’s friend and publisher, Max Brod. The name of Ilse Weberova has particular meaning for me. Last year I interviewed a St. Louis survivor and he gave me his translation of German folktales about Mendel Rosenbusch and his magic shekel. The original author was Ilse Weber. 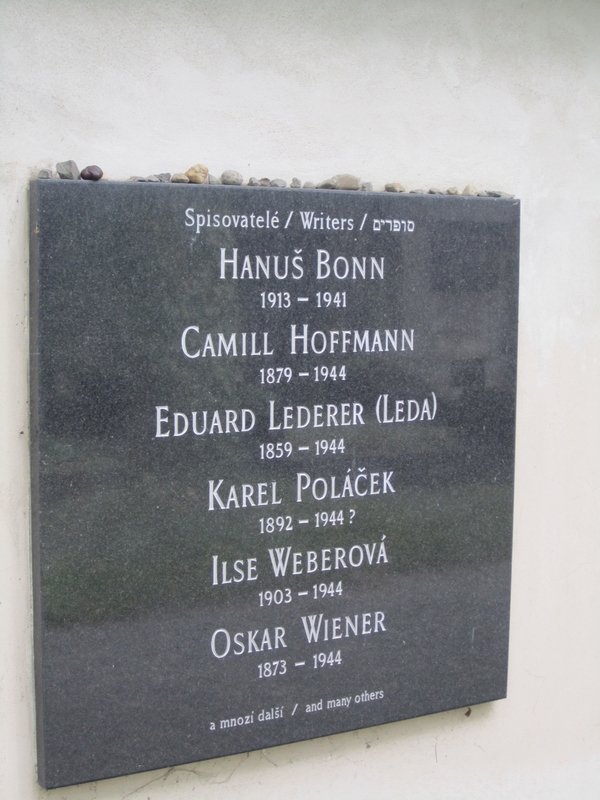 I had no idea until we saw a film in my Prague Jewish Studies class that Ilse Weber (Weberova) was Czech and had been at Terezin, later perishing at the hands of the Nazis. I’ve been working on my own version of one of her stories as a picture book. I had just learned of industrialist Bohumil Bondy at the Museum of Decorative Arts. When I stumbled upon his grave, a couple of people had set up a large tripod for photo-taking. But here’s a photo I took with my humble point-and-shoot. 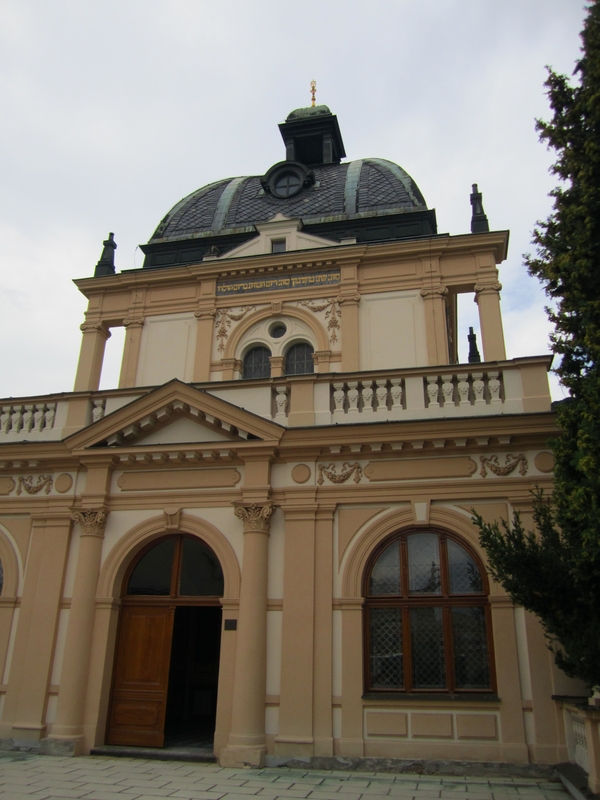 Bondy supported Czech-Jewish religious efforts. 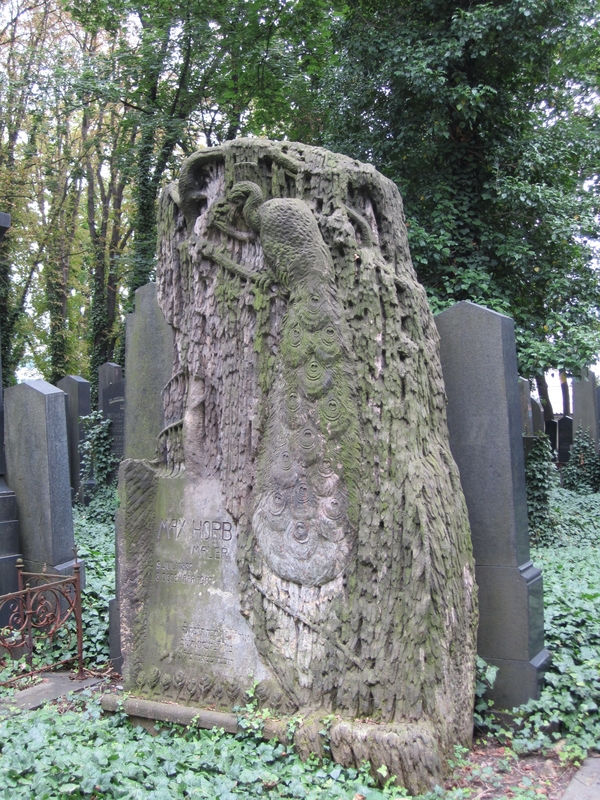 Czech art nouveau artist J. Fanta designed his grave in 1907. 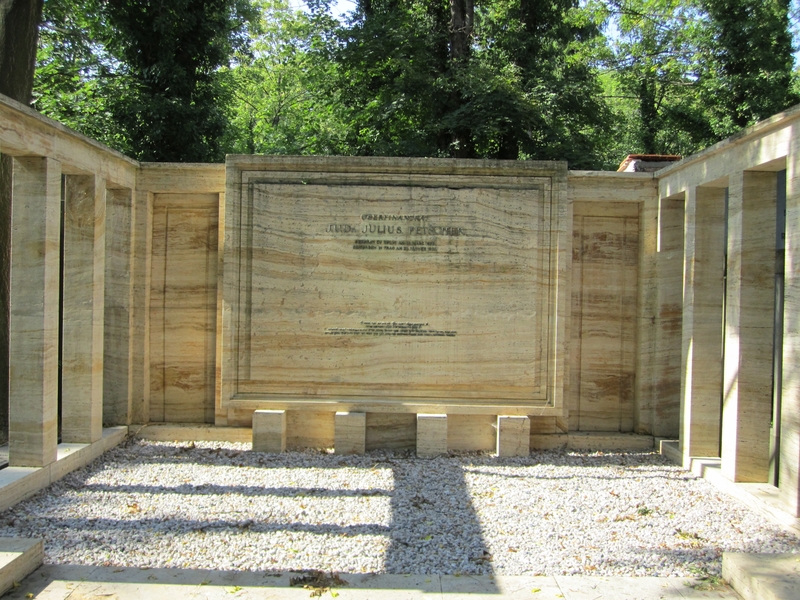 The tomb consists of a central piece with five gravestones. The central one contains a large motif of flowers with names of the deceased. In terms of style, design, lettering as well as the bronze ornaments, it is a homogenous and refined work. The Petschek family was also prominent, making their fortune in coal and banking. The palatial residence of Otto Petschek was used during World War II as a Nazi army headquarters and is now the home of the U.S. ambassador. Julius Petschek’s The Bank House of Petschek and Co. is now a ministry building in Prague’s New Town. 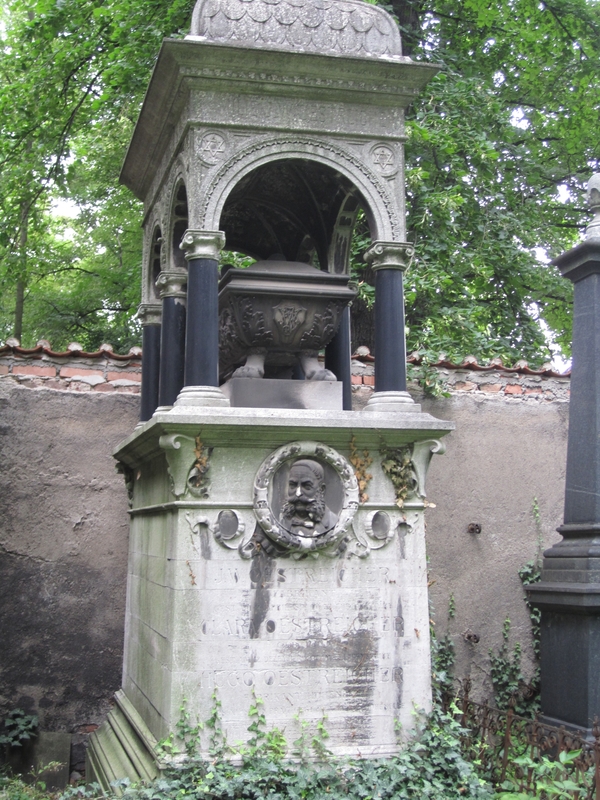 Here are photos of two Petschek family tombs; the one on the right is Julius and family. 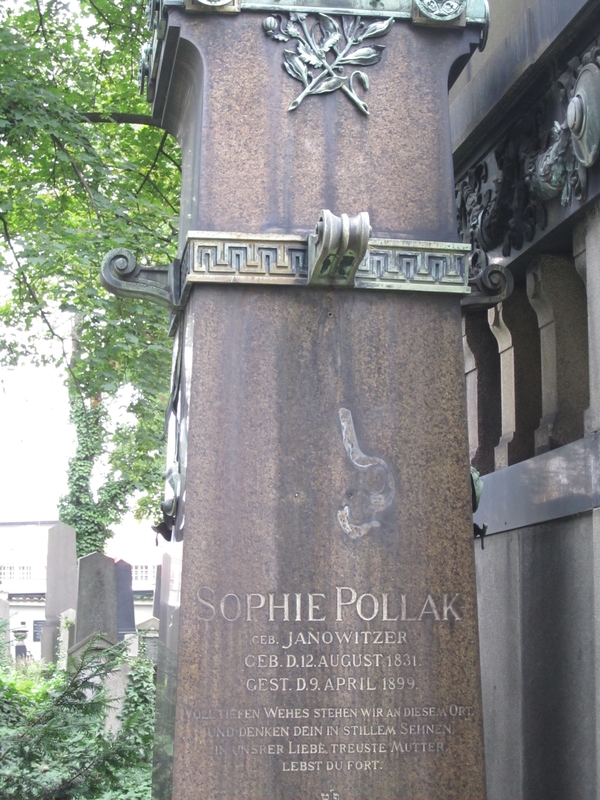 The art nouveau tomb of Sophie Pollak was designed by architect E. V. Gotthilf in 1899. 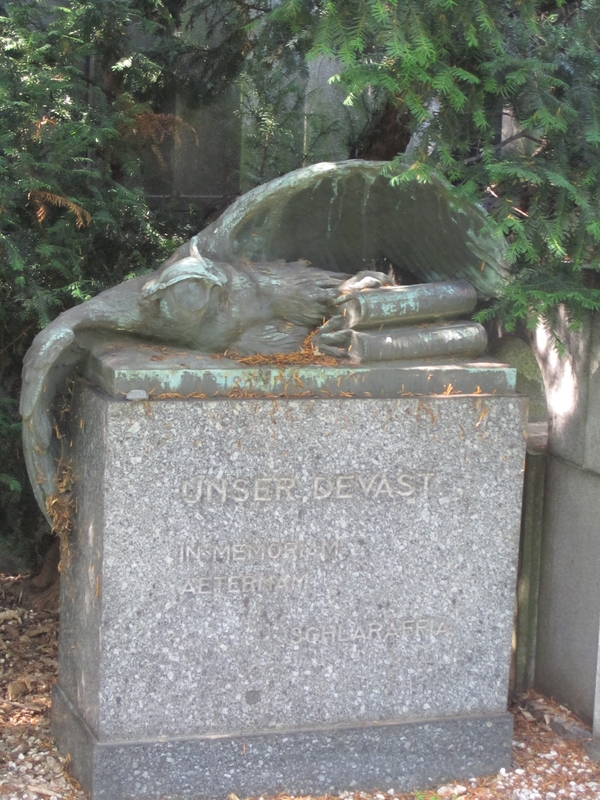 I had to place a stone at Franz Kafka’s grave, just as I did a year earlier at the grave of Emma Lazarus in Brooklyn, New York. 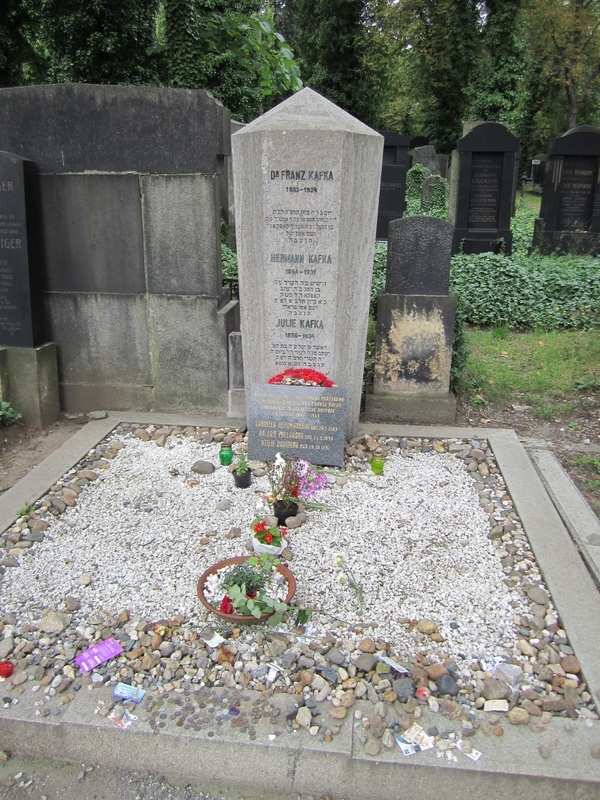 But, Kafka’s grave certainly seems to be much more popular. I would imagine the site is the destination of pilgrimage. 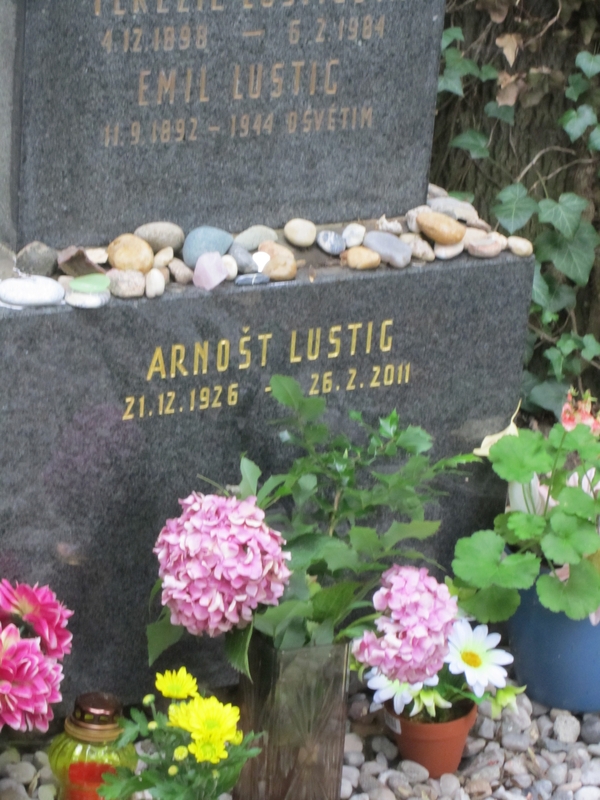 I had not really known the poet of Czech writer and Shoah survivor Arnost Lustig before the Prague Summer Program. With recommendations from the program’s administration and faculty, I bought some of his books — at the Franz Kafka bookstore on Siroka Street — and was sorry I never got to meet him personally. 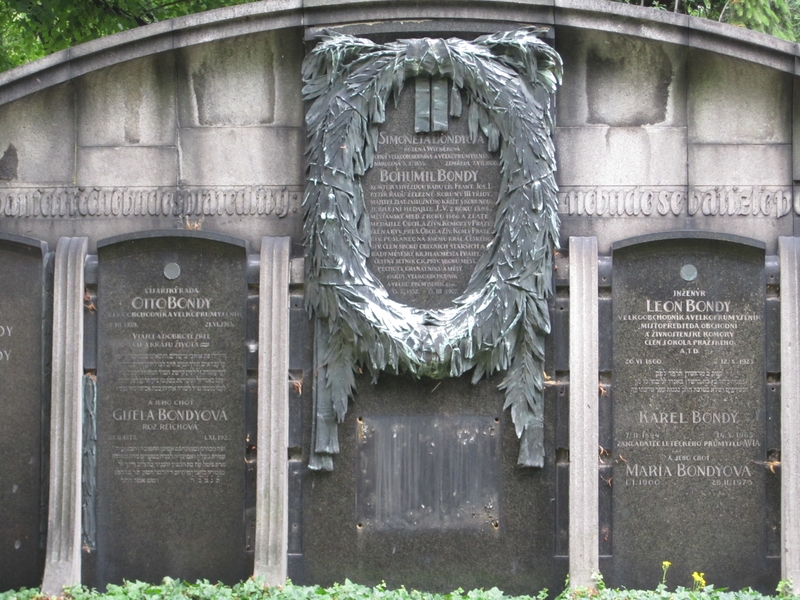 This entry was posted in Report from Prague and tagged Bondy, Ilse Weber, Ilse Weberova, Kafka grave, new Jewish cemetery in Prague, Petschek, Prague Jewish cemetery. Bookmark the permalink. 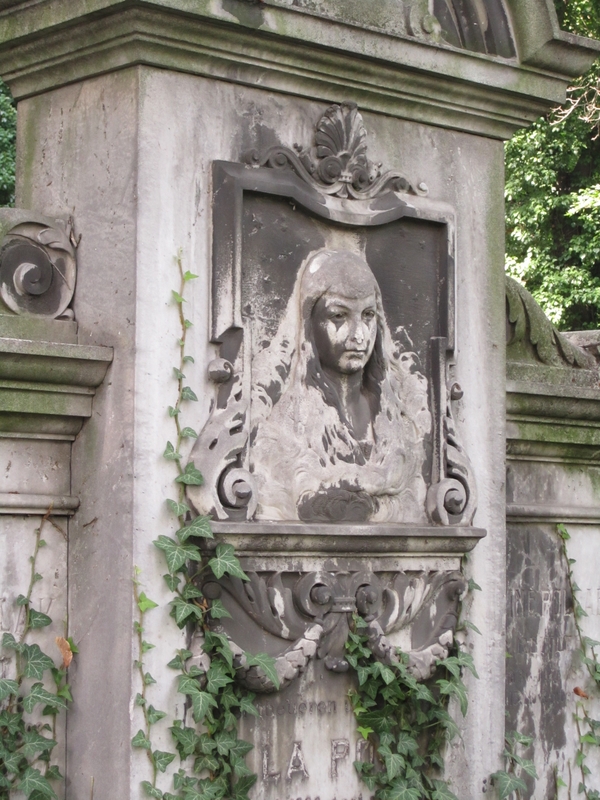 I actually visited the cemetery twice – once on my own and once with my Jewish Studies class. 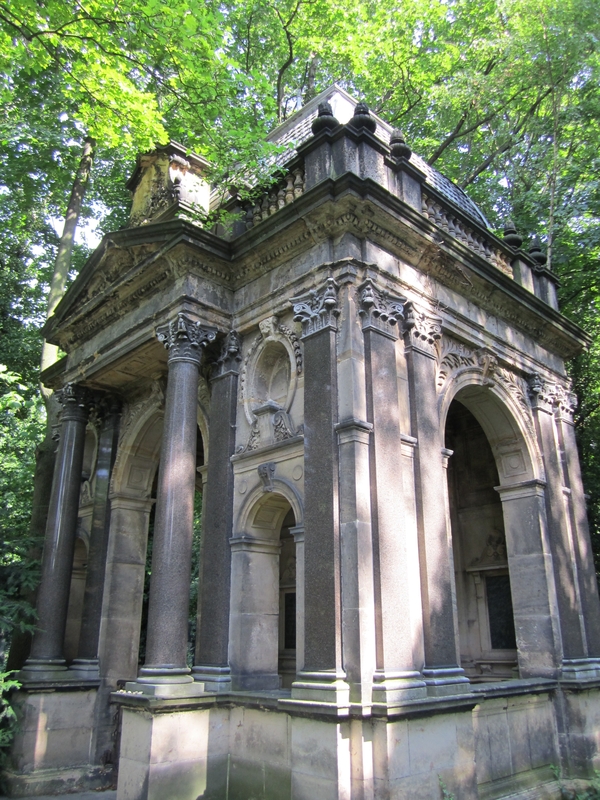 Cemeteries can be fascinating. I always wonder about the person interred. Your brief comment about Arnost touched me. I had him as a teacher in the summer of 2001 in The Prague Summer Seminars. He was the best teacher of fiction I have ever had as well as the most wonderful man. His humanity shown like a brilliant diamond. He had a wicked sense of humor and loved life as no one else I have ever met. I learned a great deal from him, not the least of which was that you can survive anything and make your life great. I regret I never had the opportunity to know him. Thanks for your thoughtful comment. I had him as a teacher at American University in the late 70’s and felt the same way you did. I use his Lovely Green Eyes novel in my undergraduate Holocaust class and may begin to use it also in my English Comp II class when I use the theme Life and Death.